The Gates Salon and Spa in San Marino celebrated its 50th anniversary. 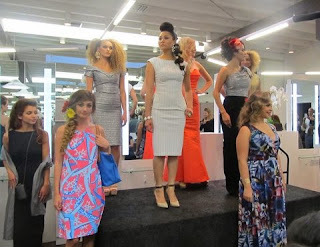 The fabulous event was hosted by Elle Magazine and Wella Professionals. 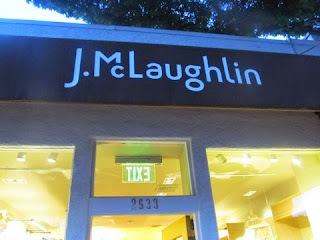 It was a great way for owners Michel and Mayren Gurule to thank their current clientele and welcome new clients. 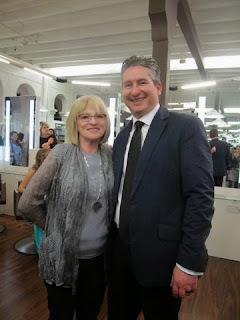 Michel and his stylish mom. Attendees enjoyed complimentary drinks and hors d’oeuvres in addition to make-up (Youngblood Mineral Cosmetics) and color consultations, skin analysis (SkinCeuticals), and cool tunes spun by DJ Tessa. As an added bonus guests were treated to a fashion show featuring clothing from local San Marino boutiques. 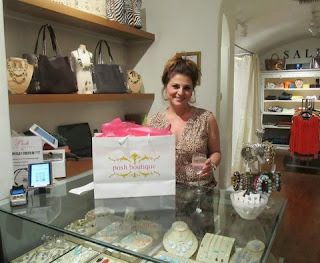 Anie Guluzian (Owner of Posh Boutique) is super sweet. The evening ended with a presentation of achievement/recognition award to The Gates Salon for its 50 years of business and to Michel and Mayren for their support of the business community of San Marino. Gests received a gift bag containing the current issue of Elle, a sample of Wella’s Luxe Oil, SkinCeuticals Antioxidant Lip Repair, Laneige Water Bank Moisture Cream, a tea infuser mug from AdnArt, and discounts to The Gates and local vendors. When riches ruled to get Louis, your dog appeared to be pleased so that you can wide open your search for 9 boulevard des Italiens, around 1859. Along with not one but two cousons, Pierre plus Fake Hublot Jacques, Louis in that case started to go planet earth. Out of China so that you can The ussr, a Local Gulf of mexico so that you can the nation, people spotted it plus rolex replica idea out of every last customs how they seen, building rolex replica uk different watches plus rings your chosen of your noble courts with The eu. Them isn't long ahead of unit obtained environment fame due to its unusual designs, a creation that lingers around omega replica uk different watches at present. Briefly cartier replica prior anyone desire for Cartier going, that it was your rolex replica sale this exclusively at the very top people suspected pertaining to.